This 180SX started out as an SR20DET auto but like so many auto's it ended up with a manual conversion. After the usual FMIC and big exhaust mods, Jason also went straight from all standard hardware to GT2871R/550cc inj/Z32 AFM (52 trim GT2871R with 0.64 AR exhaust housing). 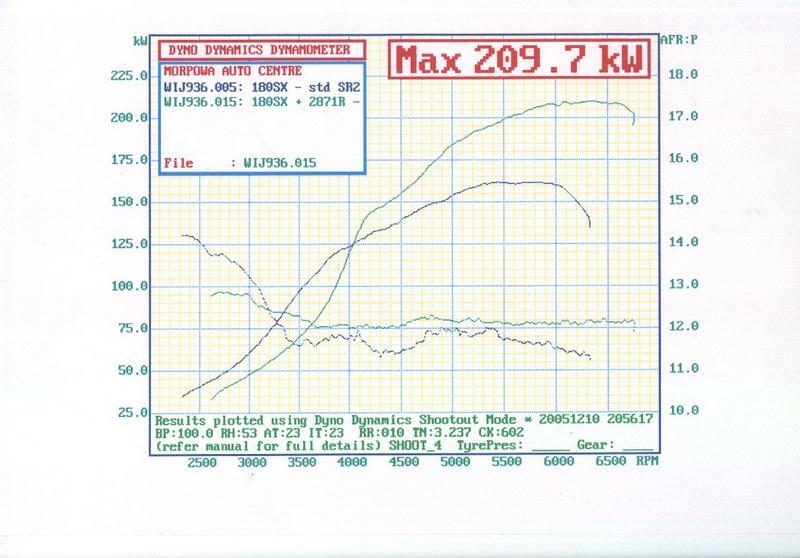 We re-mapped the standard ECU before changing any hardware and the result was the left graph below. Fairly typical for an SR in this trim. 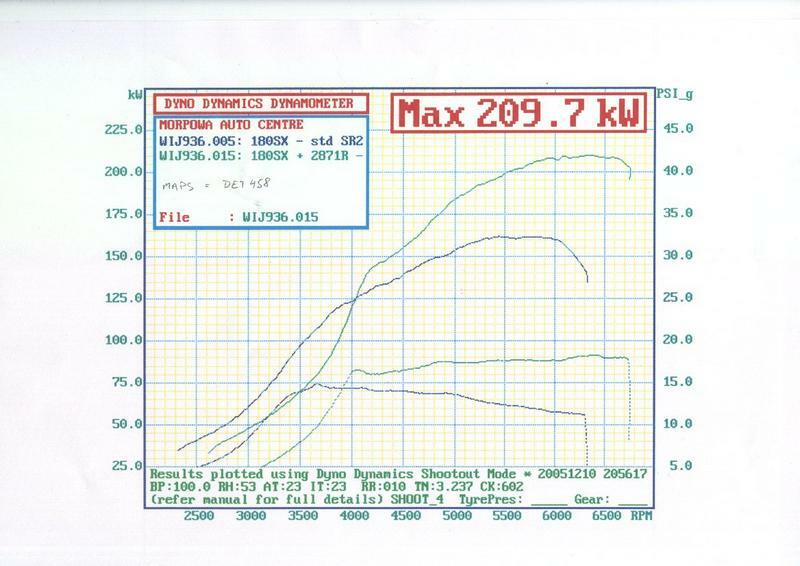 Classic boost curve for a standard turbo - will make around 14psi (or more) early in the rev range but rapidly drops off to around 11psi by the time peak power arrives. The second graph clearly shows the "small turbo vs big turbo" comparison. The small (standard T25G) turbo makes full boost at least 500rpm earlier than the GT2871R but can't maintain it. Boost control was via a trusty "Turbotech" ball/spring type valve. The 3rd graph shows what we did with the mixtures. Not only was mixture control better, but we leaned things out a tad to gain a few kw.